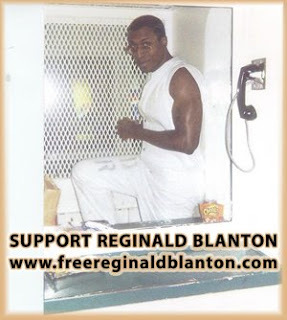 This petition is to bring awareness to the wrongful conviction of Reginald Blanton, Texas death row inmate. Reginald was railroaded to Texas death row for a crime he did not commit. The trial was shoddy, and false testimony was used to get a conviction. Other factors in the trial include, prosecutorial misconduct, perjured testimony, ineffective assistance of counsel, mitigating evidence, insufficient investigation and actual innocence. Reginald’s court appointed lawyer did not try his best to help Reginald. He did not have a jury of his peers, there was no eyewitness and no murder weapon was found. Because of his street gang affiliation, Reginald was “guilty” before he ever went to trial. There was reasonable doubt, and this alone should have thrown out his guilty verdict. We the undersigned are asking that this case be looked over, and a new trial be presented to assure that he receives justice. More information and facts can be read on this site, created for this case. Pres. Elect Obama should create a federal prosecutorial entity that only handles bad cops and bad prosecutors and prosecutes these officials for civil rights violations under 18 USC 241,242.